The idea of PRAVASI BHARATIYA DIWAS and Dual Citizenship for the People of Indian Origin was first mooted by the B.J.P. government, led by Shri Atal Bihari Vajpaee. It was subsequently implemented by the UPA government, led by Dr. Manmohan Singh of the Congress. When the idea was first mooted, Non-Resident Indians ( NRI ) and People of Indian Origin ( PIO ), were ecstatic . At least there was one opportunity to get connected to your homeland. There was one golden chance to belong to the land of your forefathers. NRIs and PIOs started eagerly waiting for the coveted status of Overseas Citizenship of India ( OCI ) . It was decided by the B.J.P. government that the owners of OCI card will get life-long visa to visit India and can stay in India as long as they wish. They don’t need to report to police on arrival. Though PIOs wanted voting rights, right to contest elections and right to buy agricultural lands also but it was not agreed upon. After B.J.P. government lost election, it was feared that the UPA government, led by the Congress, will not be agreeable to the scheme. Luckily UPA didn’t put the scheme on the back-burner and went for it. The enthusiasm of the PIOs should be gauged by the fact that within four years of its inception, more than 5 lakhs PIOs have got the coveted Overseas Citizenship of India. By the end of March 2010 , the government issued 5,73,324 dual citizenships in 91 countries. Among the Dual Citizenship holders nearly half are Americans. They are closely followed by Britishers, Canadians and Australians. There is a strong presence of registered PIOs in France, Germany, Switzerland and Kenya also. It is surprising to find PIOs in countries like China, Venezuela,Finland, Israel and Mexico. Now comes the case of celebrated writer, winner of Nobel Prize for Literature in 2001, Sir Vidiadhar Surajprasad Naipaul. Born on August 17, 1932 in Trinidad, he is one of the most famous Indian of our times. His maternal father used to live in Gorakhpur district of Uttar Pradesh. He got Nobel Prize in the centenary year of the award. His 1957 novel ” The Mystic Masseur ” was made into a film in 2001. He also won Booker Prize in 1971. But all these credentials are of no significance to the mandarins of Indian Embassy of U.K. They refused OCI card to Naipaul due to lack of documentation. They sought documents to prove that the Nobel laureate’s ancestors lived in Gorakhpur , Uttar Pradesh. Being one of the most famous Indian in the world didn’t help Sir Naipaul. Instead of feeling pride that the Nobel laureate wants a PIO card, the government cast doubts on Sir Vidiadhar Surajprasad Naipaul’s Indian origin. Incidentally my forefathers also hailed from Gorakhpur. 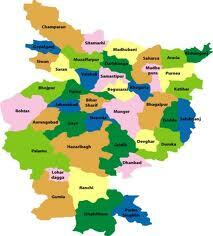 My present district Deoria was carved out of the Gorakhpur district. I am honoured and feel proud that I, at least, share something with Sir V. S. Naipaul. But embassy mandarins of the Indian embassy of U.K. don’t feel so.I am so ashamed and shocked that I cannot express my feelings. It shows the values of UPA government led by 125 years old Indian National Congress. I have no class today. I am working with only two of my private students , who are coming to me for the preparation of their forthcoming films. One is the daughter of a matinée idol and the other is the son of a very successful director and soon he is going to be launched by Mr. Karan Johar. After finishing their class , as I was sitting in my office on this soggy and dull evening, I suddenly remembered that this month on July 07, 2010, His Holiness Dalai Lama turned 75. I wanted to write about the event on the same day but I missed the opportunity because of my hectic and busy schedule. Barkha Dutt of NDTV 24×7 went to Dharamsala that day and interviewed His Holiness. I missed the telecast also because of my schedule. On this particular day, I suddenly remembered the event and decided to express my views immediately. Ever since I started reading books, I was very fascinated by history. History of India and her neighbouring countries always fascinated me. While still in High School, I started studying Ancient Indian History. I was mesmerized by our culture and its all-powerful, all-encompassing and enduring sway on the various parts of the world. Mystic Tibet and the influence of Buddhism on her culture and history,fascinated me the most. During my childhood I had gone to Mussoorie, a hill station of Uttar Pradesh (now Uttarakhand ) with my family. My father told me that H.H. Dalai Lama lives near by and we should go and meet him. I asked my father about H.H. and then he told me about the Chinese occupation of Tibet and the struggle going on there for the independent Tibet.We couldn’t go to meet H.H. but I started reading about the history of Tibet and her relationship with India. The present Dalai Lama, Tenzin Gyatso, is the 14th Dalai Lama. Tibet is an ancient nation and enjoyed sovereignty till the communist government , headed by Mao Zedong, established its regime in China. After defeating and easing out Kuomintang government of Chiang Kai Shek , out of mainland China and after firmly establishing himself, Mao Zedong, started spreading his tentacles to Tibet and slowly started claiming that historically Tibet is part of Greater China and that she was never a sovereign nation. In 1950 China attacked Tibet. Peoples Liberation Army invaded Tibetan area of Chamdo. Forced by this brutal attack, Tibet signed 17 point agreement with China and accepted Chinese sovereignty over Tibet in 1951. After this infamous 17 point agreement, China separated Tibetan region of eastern Kham and put it under direct control in Sichuan province. Western Kham was also separated and put under Chamdo Military Committee. Though , in 1956 there was unrest in Eastern and Western Kham but it was brutally suppressed by Chinese army. Freedom struggle by Tibetan continued unabated and finally in 1959 Peoples Liberation Army started its infamous crackdown in Kham. This finally fuelled Lhasa Uprising and full-scale war was started in Tibet. Chinese forces struck with all its might and war was crushed. Fearing Dalai Lama’s arrest, Tibetan government decided that he should take shelter in India. 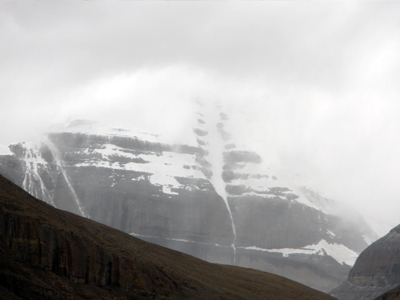 Protected by few loyal followers, H. H. Dalai Lama left Lhasa and after arduous and risky journey ,took refuge in India. Along with H.H., India accepted more than 1 Lakh refugees and Tibetan government-in-exile was stablished in Dharamsala. After Dalai Lama’s escape , China stablished her iron-like grip over Tibet and gradually started destroying Tibetan culture. Between 1959 and 1961 more than 6000 monasteries of Tibet were destroyed. Tibetan culture and traditions was systematically undermined and Hans from China were encouraged to settle in Tibet in large numbers. 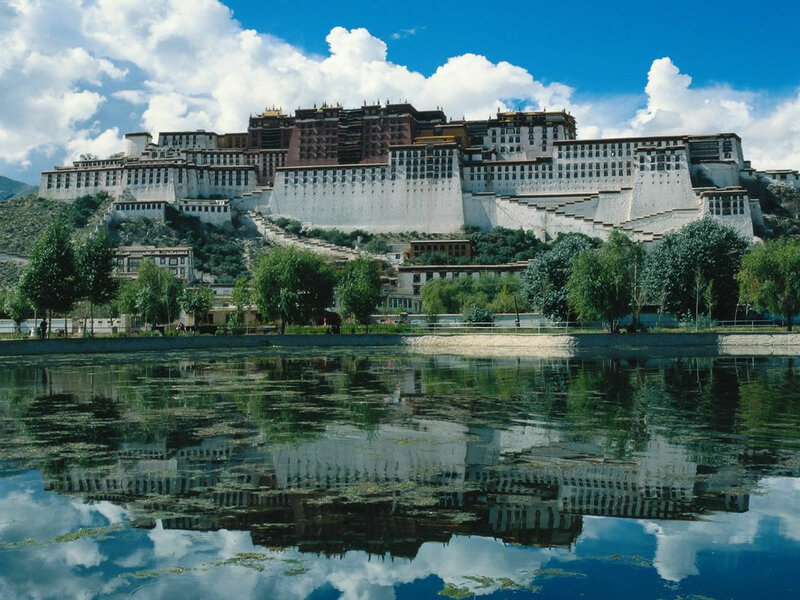 In 1965 the area under Dalai Lama’s control was renamed Tibet Autonomous Region. By proclamation , Tibet became an autonomous region, but the actual power was always held by the First Secretory of Tibetan Autonomous Region committee of Chinese Communist Party, who has never been a Tibetan. A Han of Chinese origin always held the position. This is brief and very basic history of Tibet and Tibet’s subjugation and oppression by China. There is mute support by world community for the independence of Tibet but it is half-hearted. Though Dalai Lama got Nobel Peace Prize in 1989 and then there were widespread protests against Chinese rule in 2008, but because of the lack of political will of world leaders and world community, Tibet’s voice is crushed and she remains under Chinese occupation and shackles. H. H. Dalai Lama is now 75 and this is occasion for celebration. This is also true that he is the only hope of Tibet and 130,000 Tibetan exiles in India. Crushed and tortured Tibetans, living in Tibet also look to him for guidance and inspiration. China is cunningly waiting and eyeing for the post !4th Dalai Lama era. Time is running out . World community has to act soon and fast. 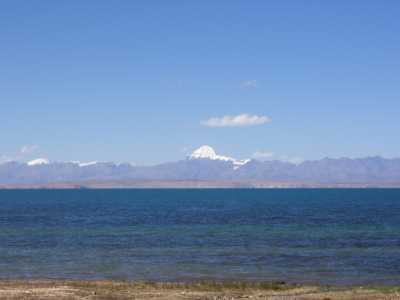 India has special interest in Tibet because our holy places like Mount Kailash and holy Manasarovar Lake, are situated in Tibet. Tibet’s liberation is need of the hour and on this happy occasion of Dalai Lama’s 75th birth day, we should take this pledge that we will always aspire and pray for the liberation of Tibet. Long live Independent Tibet !! 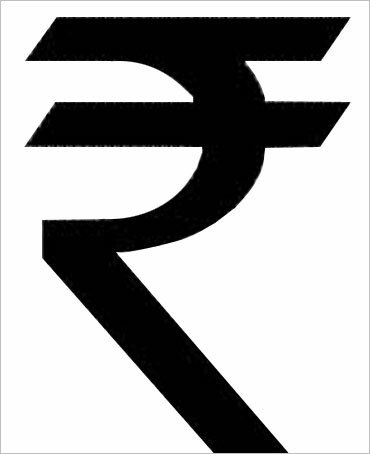 I woke up in the morning on July 16, 2010 and saw in the news papers this new symbol of Indian Rupee. It attracted me instantly. It was classy in look and very artistic. I must admit that I loved it immensely. My country enters the elite club now. Only USA, UK, JAPAN and EUROPE have symbols for their currencies. Now India also joins the club. D. Udaykumar, a student of IIT, Mumbai, designed the new symbol. 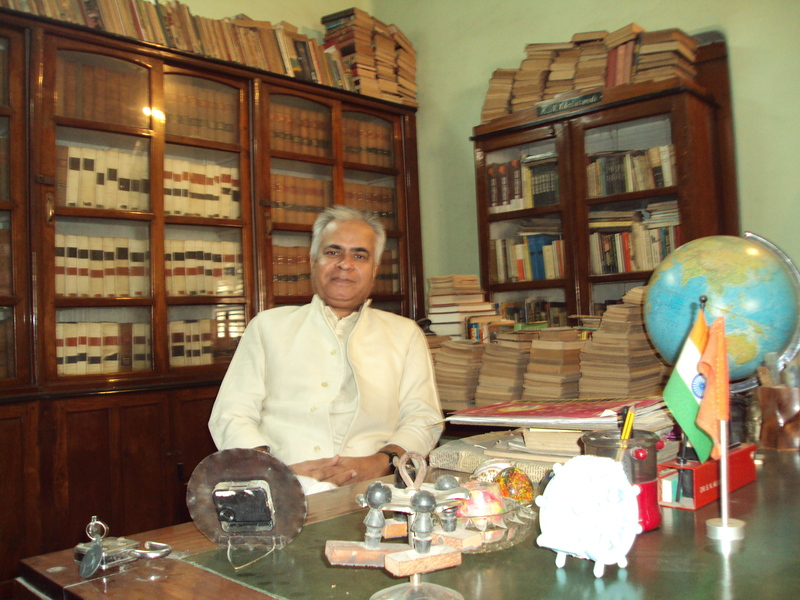 He basically hails from Tamilnadu and at present works as professor in Guwahati, Assam. When Reserve Bank of India decided to have a symbol of Rupee, they called for designs and got 3000 proposals. Out of those 3000 symbols, RBI selected 5 symbols. Finally government chose Mr. D. Udaykumar’s symbol. Information & Broadcasting Minister Ambika Soni announced the decision and thus Indian Rupee got a symbol and now it is distinct from other nation’s Rupee. Pakistan, Banga Desh, Nepal, Sri Lanka and Indonesia also use their own Rupee but now Indian Rupee has its own identity and a unique and distinct symbol. 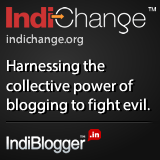 This symbol will be in use within 6 months in India and within 2 years in the world. These two divergent views are contrary to each other and they are in some way right and in some way wrong. But I am not going to be drawn in the arguments. I am happy for the robust economy of my nation,.I am happy for the recognition my country is getting at the international forums. And I am happy for the new symbol of my currency. It is an important thing and it makes me immensely proud of my country. Let the sceptics say what ever they wish. He made this film while he was still studying in New York university. He borrowed money from his family, friends and from relatives and apart from writing the script, also acted in it. It was not released commercially, so I am not counting it or taking it in reckoning. Six years after making his first amateurish film, Mr. Shyamalan made this film which was released commercially. Though it got completed in 1995, it was released in 1998. This third film of Mr. Shyamalan is his first commercial success. It was released in 1999 and it is Mr. Shyamalan’s biggest hit so far. Made with the budge of $ 40 million, it earned $ 660 million worldwide. It was nominated for Academy Awards in 6 categories including best picture, best director and best original screenplay. Starring Bruce Willis and Haley Joel Osment, this film is the 6th biggest grosser of all times in Hollywood history. This 4th film of Mr. Shyamalan was made with the budget of $ 73.2 million and it grossed $ 244 million worldwide. Bruce Willis again worked with Mr. Shyamalan along with Samuel L. Jackson. This Mel Gibson and Joaquin Phoenix starrer had budget of $ 72 million and it grossed $ 635 million worldwide. Incidentally this film is Mel Gibson’s most successful film ever and is the highest grosser of Mel Gibson’s career. This Joaquin Phoenix starrer was made with the budget of $ 71.6 million and it grossed $ 256.2 million worldwide. It was nominated for one Academy Award, though it was panned by the critics. This film was a definite flop and it could not recover its cost. The ignominy of the matter was that it was nominated at 27th Golden Raspberry Awards in 4 categories. I do admit and consider that it is a bad film. Though panned by critics this film grossed $ 163.3 worldwide. It was the 3rd highest grosser of that year. This film got released this week and its box office result is still awaited. Its budget is $ 150 million and it’s opening weekend collection is $ 70 million . HOLLYWOOD — It was a particularly sizzling July afternoon during the summer of 1999 when I trudged across the Disney Studios Burbank lot toward my appointed destination. To tell the truth, by then an air-conditioned screening room held a lot more promise than what was being shown — some new Bruce Willis thriller. After all, Willis hadn’t exactly been box office dynamite in recent years, what with stuff like The Siege and The Jackal. So I selected a seat positioned directly beneath an air vent and settled in just as the lights started to go down. Some two hours later I was effectively chilled — and it had absolutely nothing to do with the A/C. It had everything to do with The Sixth Sense. By the time it officially hit theatres a couple of weeks later, the drama with the killer twist ending and the haunted kid who saw dead people was well on its way to becoming a pop culture phenomenon. Everyone was asking, who’s this M. Night Shyamalan guy and where did he come from? A decade later, they’re asking why he’s still here. Because, in recent years, with the exception of, say, Signs, his subsequent output has become increasingly ridiculous, not to mention eye-rolling pretentious. From the laugh-out-loud ludicrous big reveal of The Village (his final association with Disney) to the laugh-out-loud ludicrous (period) Lady in the Water to the just plain inept The Happening, each new film seemed to bring Shyamalan to fresh artistic lows. Along the way, a succession of studios took the bait, only to be left holding the bag when audiences would ultimately catch on to the fact that the latest effort “from the director of Sixth Sense and Signs” was no Sixth Sense or Signs. Not only could Shyamalan no longer justify the rare, hands-off autonomy he had earned from studio execs thanks to those early successes, but he was running out of places willing to bankroll another of his cloaked-in-secrecy scripts. With last weekend’s arrival of The Last Airbender, meanwhile, came the hope that, since the subject matter originated, not from Shyamalan’s once-fertile imagination, but from a hit Nickelodeon animated series, the downward spiral might be curbed. But while the special effects were decent, the movie as a whole earned him his worst notices yet. That it nevertheless opened over the traditionally lucrative Fourth of July holiday weekend with a solid $70 million was attributed mainly to the marketing powers of Paramount Pictures. Determined to protect its $150 million production investment, the studio pumped in almost as much for a worldwide awareness campaign pulling out all stops to get fans of the original series into theatres over the weekend ahead of the nasty warning Tweets. The majority of those who turned up over the weekend were males under the age of 25 who had been big fans of the animated series and were likely in the market for something — anything — other than The Twilight Saga: Eclipse. Or maybe they were just in it for the air conditioning. Michael Rechtshaffen is a Canadian entertainment writer based in Los Angeles. After reading this article, can you still feel that this criticism is fair and not biased ? If his recently released film collected $ 70 million in the first weekend, is it proper to say that audiences are going just to spend some time in the air-conditioned hall ? Sorry, I have tolerated enough and I am not going to take this insult any more. Western press is biased and they are behaving like racists of worst kind. You may not like the film, you may not like the direction, but you can’t write the obituary of an artiste whose track record is so impeccable. Every director can make bad films. Every maker has given damp squibs. But no critic can say that a particular artiste is finished. In Mr. Shyamalan’s case this is happening too often and too soon. Mr. Shyamalan is a master craftsman and barring one or two , all his films are blockbusters. Alfred Hitchcock also made same kind of films throughout his life and no one called him ” one track pony “. Some of his films today look mediocre, but to say that he was a mediocre director, would be blasphemous and will be considered a sacrilege. American media sang paeans to ” SLUMDOG MILLIONAIRE ” , which was definitely a mediocre film. Since it was made by a British , it got many Academy Awards. But an Indian Mr. Shekhar Kapoor or a P.I.O. ( person of Indian origin ) Mr. Manoj Night Shyamalan are panned and their films are ridiculed mercilessly and vehemently. If this is not racist behaviour, then can anyone enlighten me, what is it ? Yesterday as I was sitting in my flat and was watching news on the national television about BHARAT BANDH, I was astounded by the diversity of views. Government of the day says that this Bandh is uncalled for and the opposition is behaving irresponsibly. And the opposition is saying that it was necessary to make a non-sensitive ruling combine listen to the legitimate grievances of the people. Then there are several news channels. Most of them were opposing the Bandh. They were showing that trains are running on time, planes are taking off as per schedule and general public is out on the streets for work and that things are normal. But today in the morning when I woke up and saw the morning news papers, I was astounded again. Times Of india and Hindustan Times, two leading news papers, were carrying photos of empty roads, deserted highways and motionless railway stations and aerodrome. So the question arises; which medium is right and which medium is giving us right pictures and true news? So which version to follow ? Which one is the true version ? Every one , I have mentioned here, has impeccable records. But everyone cannot be right . So truth definitely lies somewhere in between. I would like to say that Bandh is not the most desirable or right thing to do. But if the government of the day refuses to pay heed, and works imperiously, then what is the choice ? When opposition sits silently, media blames it for inaction. And when it hits the road then it is accused of unparliamentary behaviour. So what to do ? In my opinion Bandh is the legitimate weapon and should be used sparingly. Sure it causes inconvenience to the general public and makes things bad for the daily wage earners. But price rise is not going to benefit daily wage earners in any way. When inflation is rampaging at the rate of almost 14% and spiralling prices have made life hell for the common man, then the question of the inconvenience of the common man does not arise. So in my opinion this Bandh was necessary and unavoidable action. Public supported it whole heartedly and participated in it suo-moto. As for as the success of the Bandh is concerned, morning news papers debunked all the claims of the public annoyance and so-called pictures of the defiance of the common man for yesterday’s Bandh being aired by the electronic media. One thing, I must say about the electronic media, is that they were following the official and the government’s version about the Bandh. Their coverage was biased and one-sided. They call people , who are called panelists and I suspect that they are professional panelists, who surface and resurface at the channel’s studio at every given moments and air their views on every subject under the sun. They are experts on every matter and only they are called by the channels. May I ask what is the criteria for the selection of these panelists ? Almost all the panelists look rich and seemed not to have experienced hunger and poverty. So why are they so concerned for the poor ? What the hell they know about the common man ? Then there are chronic publicity seekers also. Yesterday there was this gentleman, who was interviewed by the correspondent of a particular channel. He was intercepted at a petrol pump and was asked about the difficulty he is facing while filling the tank of his car. Why was he out on the day of the Bandh ? Why was he roaming around aimlessly from Thane to Andheri ? There was no emergency, so why was he searching for the petrol on the same very day ? And if public was out in the large numbers on the roads, then how come print media is showing pictures of empty roads ? BHARAT BANDH was successful and it was with the support of the general public. There was pent-up anger and it came out openly. I am not a political activist, but I did not venture out to work and in a way supported the BHARAT BANDH. I posted my previous version Telly Tales – 5 on 5th June 2010. Today its July 4, 2010. Barely a month is gone and I am sitting in my office on this wet and rainy Sunday and writing part 6 of my Telly Tales. I am not blowing the trumpet to show the world that I have attained something. I just want to celebrate the success of my students , who came to this city of dreams to make it big and to become something. I am proud of their success and happy to announce that they could make it big in spite of the fact that they are rank new-comers and they have no filmy background and still they are able to creat a niche for themselves in tinsel town. ABHISHEK TEWARI in ” CHAND CHHUPA BADAL MEIN ” : This is a new show on Star Plus and is being made on the large canvas. Eminent lyricist Javed Akhtar is playing the narrator in this show. Years ago legendary Ashok Kumar also played a narrator in ” Hum Log “. Abhishek is playing main lead in this serial. He was in Batch No. 42 of Kreating Charakters. Initially, like everyone , he was unsure of himself. But at the same time there was a burning desire to make it big. He had been given very less time by his family, so bit of desperation was there but I must make this clear that he was very grounded and level-headed. He worked hard and was very disciplined in the class. He knew that his family has given him a short period, so he didn’t waste his time and started his struggle from the day one. God rewarded him for his efforts and now he is the lead player of this Star Plus show. DHRUV BHANDARI in ” RAKTA SAMBANDH ” : He is son of Mr. Mohan Bhandari, a famous film and television actor. Dhruv was in Batch No. 09 of Kreating Charakters. 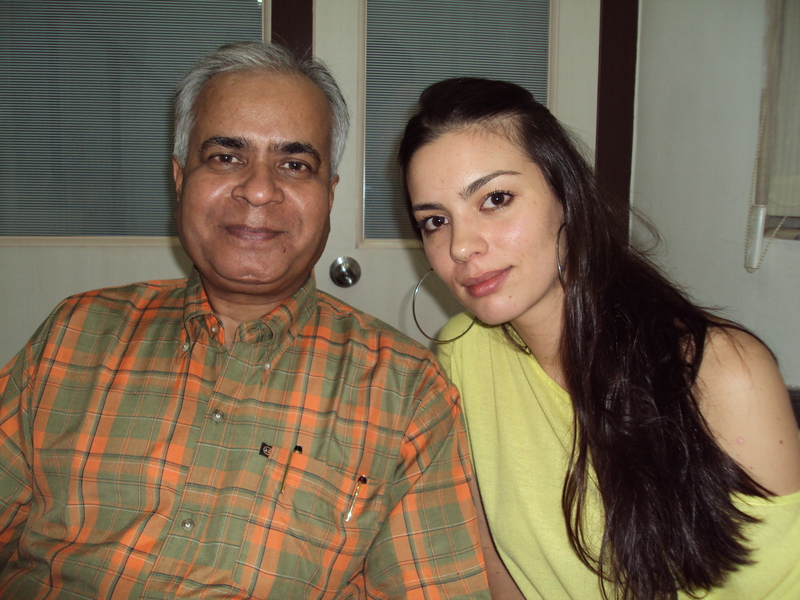 Urvashi Sharma, who made her debut in ” NAQAAB “ and Girish Taurani, whose father produced ” NAQAAB ” , were his batch-mates. After completing his course, he struggled for a while and worked in some films. But he couldn’t make his mark , as the films he worked in , bombed miserably. Now he got this fabulous offer and is working in this NDTV IMAGINE serial along with his father. MIA EVONNE UYEDA – M TV VJ : She is a French-speaking girl from canada and approached me for diction classes years ago. At that time she was M TV VJ and was presenting a show on Saturdays. She was very successful VJ and was very popular among youngsters. She had got couple of film offers and that’s why she wanted to learn Hindi. She is hard worker and very methodical in her approach. She again contacted me years after when she got a film offer. Now she is happily married and her husband Mr. EMILIANO COLLAZO runs ZENJI , a bar lounge in Bandra. ANUSHA DANDEKAR – M TV VJ : Again a famous M TV VJ, she contacted me after she did ” VIRUDDHA ” with Mr. Amitabh Bachchan. This was a Mahesh Manjarekar directed film, produced by A B CORP. She was getting lots of offers and wanted to give her best. She worked with me for many months but I think and doubt that her first priority was not films and she was very satisfied being a VJ. So films took back seat and she was busy and happy doing what she liked. She is still there and we are still in touch. SUSHEEL JANGIRA – ZOOM TV Anchor : Almost eons ago, she was my student. She hails from Haryana and was there in the batch with Manav Gohil, a TV star. She was new, naive and ambitious. She had no contacts in the industry and was curious to know how to become succesful. She always wondered and thought about success. During our separate journeys, we lost touch. One day I saw her presenting her show on ZOOM TV with aplomb and finesse of a veteran and I got a shock of my life. A shy, introvert and naive girl from Haryana has metamorphosed into a diva and was there on the channel presenting her show. Her eternal question, how to become successful, is now answered by herself and that too permanently. RAJENDRA KRISHNA VYAS – SAB TV Anchor : This young boy from Indore, Madhya Pradesh was in the Batch No.26 of Kreating Charakters. His show ” PAK PAK PAKAO “ on SAB TV is a show, which only he can pull off. His command over Hindi is exemplary and in this show, he roams around the roads of Mumbai and catches hold of a person and talks to him till that person is bored to death. His energy is infectious and he has an earthy charm, which adds to his success as an anchor. He has no background and has no filmi connection, yet he got work and is now a recognized face on television and is doing fabulously for himself . This is a very satisfying fact for me. In my previous blog – VIDUR’S TELLY TALES – 5, I had mentioned that there are 14 students currently working in lead roles in different serial on various channels. Now 6 more are adding to the list. At present, there are 20 students working on different channels. Out of these 20, 16 are lead actors in serials, 02 are M TV VJs and 02 are anchors. I think again that for a very long time, I wont be writing my TELLY TALES again . But who knows ? May be I would again be writing something next month. Who knows ? As I am writing this blog, I am confronted with a strange fact. I started my twitter account on June 17th, 2009 and till date I have only 83 followers. Its one year now. But Mr. Amitabh Bachchan started tweeting on May 18th, 2010 and he has 2,16,425 followers. Its has been only 46 days. The fact of the matter is that he started his journey on twitter almost 1 year after me. I am not cribbing, or voicing my anguish. I am just stating a fact. This twitter account statistic shows that I have yet to cover a long distance. It shows that I am just a speck in the universe as for as success is concerned. This is fact and I am ready to accept that. But everything is not that gloomy. There are few occasions to celebrate here and there. Sometimes there is a news to cherish.and rejoice. And today as ” I HATE LUV STORYS” releases in the theatres worldwide , I am feeling that kind of happiness. It is very important film for me. Its main protagonists – Imran Khan, Sonam Kapoor and Sammir Dattani are my students. Its director Punit malhotra, who is nephew of Mr. Manish Malhotra, is my student too. 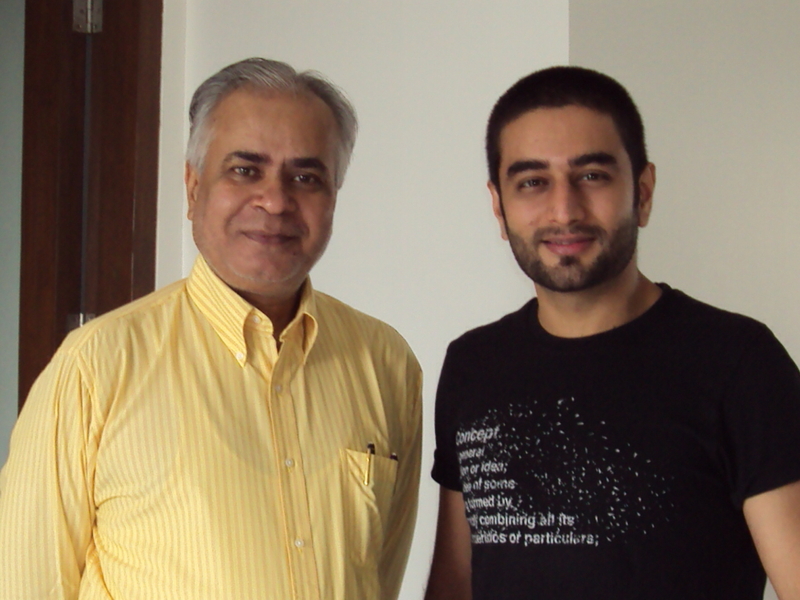 The music director Shekhar Ravjiani of Vishal-Shekhar duo, is also a student of mine. When you have 5 students in one film and that too almost in every important departments, it’s definitely a proud moment for a trainer. PUNIT MALHOTRA : This well-behaved nephew of ace designer Mr. Manish Malhotra, was my student years ago. At that time he was assisting Mr. Karan Johar and was dreaming to make it big as an actor. 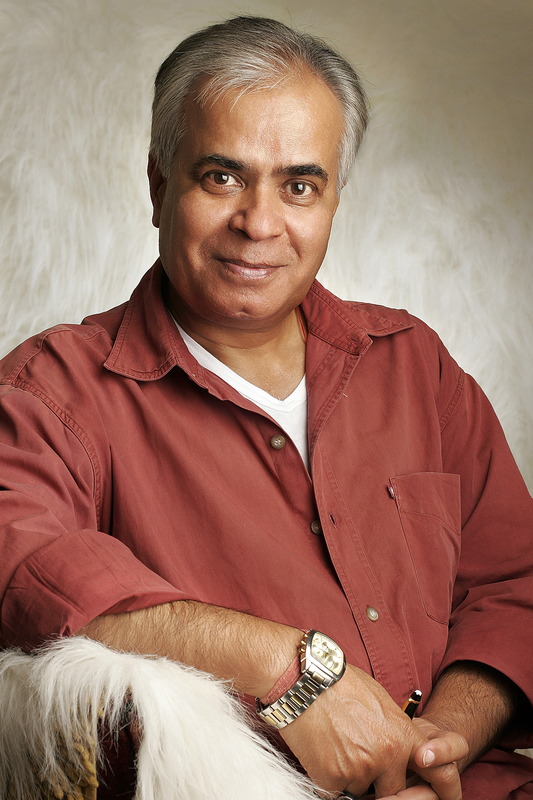 He assisted Mr. Karan Johar in ” KABHIE KHUSHI KABHIE GHAM “. Then he was assistant in ” KAL HO NA HO “ and ” PAHELI “ also. After that he became a model and did one ad with Mr. Shah Rukh Khan. He was working hard to become an actor but Mr. Karan Johar gave him an offer to direct a film. I advised him to put aside his dream of becoming an actor for the time being and take the plunge . He started scripting and as soon as script was complete, ” I HATE LUV STORYS “ rolled. It got completed and got released on July 02, 2010. It created a lot of positive buzz and Punit’s career as a director is launched. I am happy for the newest director of Hindi film industry. SONAM KAPOOR : I trained her during ” SAAWARIYA ” days. I was already training Ranbir Kapoor at that time. He mentioned my name to Mr. Anil Kapoor and one day I got a call from him. I went to meet Mr. and Mrs. Anil kapoor and soon started training Sonam. She is an accomplished Kathak dancer and worked really hard for ” SAAWARIYA “. It’s unfortunate that film tanked badly and got bad press. But Ranbir Kapoor and Sonam Kapoor were praised for their acting skills. Sonam’s second film ” DELHI 6 ” also tanked and it was sad to see this beautiful girl’s efforts not bearing fruits. Fortunately ” I HATE LUV STORYS ” will change the scenario. SAMMIR DATTANI : I used to go to his Malabar Hills apartment to train him. In those early years of my career I had a Bajaj Super scooter and I used to commute on it. From Andheri to Malabar Hills, it was a tiring ride , but I used to go to his place because of the tremendous respect which his whole family has for me. He started working in Kannada film and made his debut in ” NANNA PRITIYA HUDUGI ” in 2001. Film was a smash hit and launched Sammir in the Kannada industry . He is known there as DHYAN. After that he worked in couple of Kannada films, such as : ” MONALISA ” , ” JOOTATA “ and ” AMRUTHADHARE “. In the last mentioned film even Mr. Amitabh Bachchan played a cameo. Sammir worked in a Tamil film also. Its name is ” KUTTY ” . I have seen all his regional films as he used to have private screening of all his films in Mumbai and never ever forgot to invite me. Then he was signed to play main lead in a Hindi film called ” UFF KYA JAADOO MOHABBAT HAI “. It was a Rajshri Production film and Sammir was signed for it along with 3 other new comers. Tanishaa was the female lead but later on she opted out of the film. I was assigned to train all of them and I started going to Rajshri’s office. By that time I had Bajaj Pulsar and I was commuting on that. Film got released and was a damp squib at the box office. Undeterred Sammir signed another Hindi film ” PYAAR MEIN TWIST “ and after its release he thought that he needs some more modulation and voice training . He again called me and I started going to his place once again. Even after so many years, the warmth and respect of Sammir and his family was same for me. It is yet to diminish. Before IHLS , Sammir did some other good films : ” CORPORATE ” , ” MUKHBIR “ and ” WELL DONE ABBA “ are some of them. His last one is my personal favourite. I was invited for the private screening of ” WELL DONE ABBA “. I went there in my car. So from a rickety Bajaj Super scooter to Bajaj Pulsar and now a Maruti Swift, my relationship with Sammir has seen all the shades and colours of my life. SHEKHAR RAVJIANI : I got a call from an assistant of Mr. Aditya Chopra and was informed that I have to train Shekhar of Vishal-Shekhar duo. 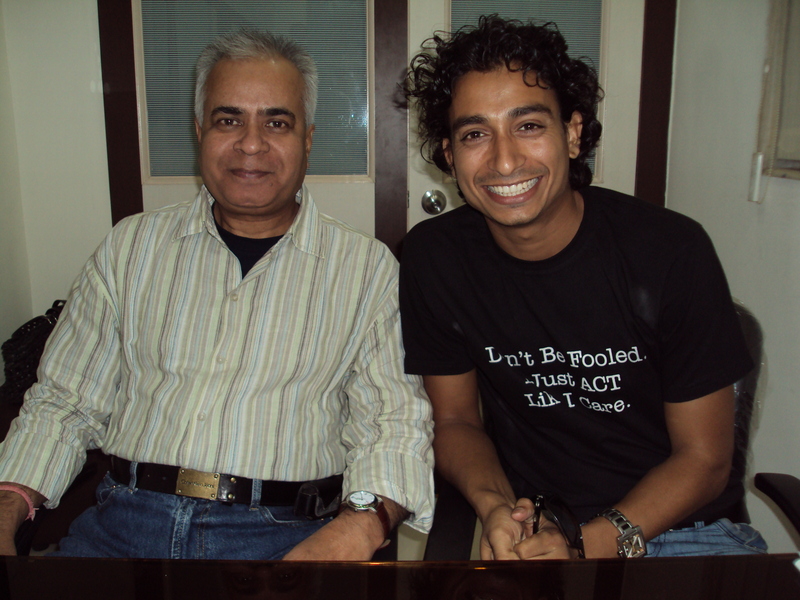 I started going to his Khar apartment and worked with him. 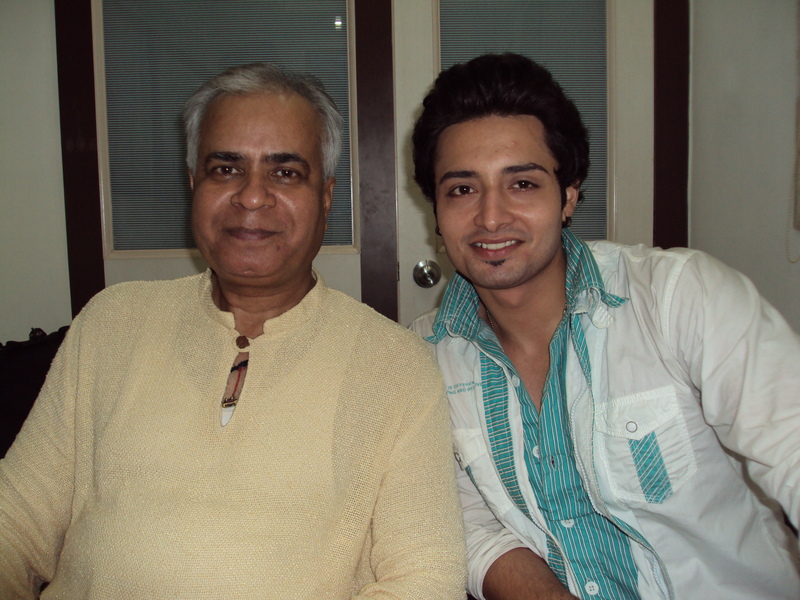 He is a talent music director and a charming human being. He is a good singer and has wonderful screen presence. He made me listen almost all the songs of ” I HATE LUV STORYS “ and I knew that his score is going to top the charts. He used to work with me in the morning and worked on the musical score of ” I HATE LUV STORYS “ in the night. Both the work were going on simultaneously. I am happy that I was privy to all the scores of this film even before the official release. IMRAN KHAN : He is the only one among all the 5 , who is not my private student. He was in the regular batch and after completing his training left for U S A. I lost touch and years after, when he surfaced in Mumbai and made it big with ” JAANE TU YA JAANE NA ” , I am yet to make contacts with him. He is master of special effects and did many such things in the class. Once I made a remark about his voice and told him that he have to work on it. I have an inkling that he felt bad and resented my remarks. Though he didn’t show his displeasure. His subsequent films – ” LUCK ” and ” KIDNAP ” did not get success at the box office but I think he will touch gold with this film. Though his films as child artiste – ” QAYAMAT SE QAYAMAT TAK ” and ” JO JEETA WOHI SIKANDER ” were more successful. ” I HATE LUV STORYS ” has been released with much fanfare and is getting all the positive bytes. I am happy at the moment and as I am about to retire for the day, I am going to sleep as a contented man but remembering these famous lines of American poet Robert Frost :. And miles to go before I sleep .